New listingUSED BlueAnt Supertooth BTSLBC3 Handfree Bluetooth Car Kit. In very good and working condition. Its outstanding audio quality is achieved via the integration of the cutting edge Clear Voice Capture (CVC) Digital Signal Processor (DSP) technology, providing truly superior sound. Aerpro FP9042M. Single DIN Facia Kit for Ford Falcon BA/BF and Territory. Design to fit both Manual or Auto Transmission. Ford Territory 2004-2011 SX, SY. Ford Falcon 2002-2008 BA, BF. Suitable for. ISO Connector to suit BMW E36/46, E39, E38, 8 er, Mini, X5, Z3/Z4. (refer to installation diagram). Most recent donors. OUR DONATIONS. SCHEDULE PICK UP. PICK UP AT DEER PARK (VIC). Trending at AU $19.44eBay determines this price through a machine-learned model of the product's sale prices within the last 90 days. 2005 Blaupunkt/VDO/Bosch RD4; Citroen C5, C8. 2004 Blaupunkt/VDO/Bosch RD4; Citroen Jumpy. 2007 Blaupunkt/VDO/Bosch RD4. 2006 Blaupunkt/VDO/Bosch RD4; Peugeot 307, 307SW, 407, 407SW, 607, 807, 1007. 2005 Blaupunkt/VDO/Bosch RD4; Peugeot 307CC. Trending at AU $3.45eBay determines this price through a machine-learned model of the product's sale prices within the last 90 days. Holden Barina 1994-2000 SB. Holden Barina 2001-2005 XC. Holden Vectra 1999-2002 JS. Holden Astra 1987-1989 LD. Holden Astra 1995-1998 TR Hatchback. Holden Astra 1995-1998 TR Sedan. Holden Astra 1998-2005 TS Hatch/ Sedan. Honda / Suzuki / Mazda Antenna Adaptor This part works in these Vehicles : Honda Accord 2008-2012 Honda Accord 2013- Honda Accord Euro 2003-2007 Honda Accord Euro 2008- Honda Civic 2006-2011 Hatchback Honda Civic 2006-2011 Sedan Honda Civic 2012 - Hatchback Honda Civic 2012 - Sedan Honda CRV 2007-2011 RE Honda Jazz (Fit) 2002-2008 GD Honda Odyssey 2004-2008 Mazda 2 (Demio) 2007-2014 DE Mazda 3 (Axela) 2009-2013 BL Mazda 6 (Atenza) 2008-2012 GH Mazda 6 (Atenza) 2013 GJ Series 1 Mazda CX5 2012- Mazda CX7 2009-2012 ER Series 2 Mazda CX9 2007-2010 TB Mazda CX9 2011- TB Suzuki Kizashi 2010-2014 Suzuki Swift 2011-. Trending at AU $93.89eBay determines this price through a machine-learned model of the product's sale prices within the last 90 days. GETZ 2002-11. Tiburon 2002-10. Elantra 2000-05. Santa Fe 2000-05. Sonata 1998-2005. - Suits the following Hyundai models. - 13 pin plug. SCHEDULE PICK UP. Suits Sony Head Units 2013 and onwards such as - 16 pin plug. Most recent donors. OUR DONATIONS. SCHEDULE PICK UP. PICK UP AT DEER PARK (VIC). - Product Code: APP8SP3. TOYOTA/LEXUS Bluetooth Interface Cable SKU : YT-BTA_TOY2 This interface cable will connect to CD-Changer Port of the back of your Original OEM Radio as a input source of Audio will then connect wirelessly via Bluetooth to your Phone allow you to answer and talk on the phone via your car audio speaker together with play music from your phone to car audio speaker system wireless A2DP . Will retain all existing steering wheel control button like volume - / , Support Bluetooth AVRCP Control : Control Prev/Next , Pause/Play .....from your radio and or SWC This interface adaptor come with 1 x USB Port for easy charging 5V / 1A Standard port can be use with USB to Lighting Cable for iPhone or Mini USB Cable for Android Phone Charging ( Cable is not included ) AUX Input x 1 Port This. Aerpro 957951. Double DIN Facia Kit for Holden Barina 05-07. HOLDEN BARINA 2005-2007. Our facia kits are specific to your vehicle and our range covers most vehicles in the Australian market. DOUBLE DIN FACIA PLATE FOR. Mondeo 2000 . KA 1999-2002. Cougar 1998 . (refer to installation diagram). - ISO Connector to suit Ford models Explorer 2001-05. Focus (LR) 2002-04. PICK UP AT DEER PARK (VIC). 1 x AUX Flush Mount USB Headphone Jack Cable. Allow mounting of socket on you car's dashboard. Material: 28AWG Copper PVC. Cable Length:100cm. Designed for in car, but can be used for any application front or rear use. Aerpro APP0110. Mitsubishi Pajero 1983-2000 NA-NL. Mitsubishi Magna 1985-1991 TM, TN, TP. Mitsubishi Magna 1991-1996 TR, TS. Mitsubishi Galant 1989-1993 HG-HH. Mitsubishi Lancer 1989-1996 CA, CB, CC. ISO Harness for Mitsubishi vehicles. Search Terms: 12V/24V cigarette lighter plug with switch, light red power cord, 1M car cigar lighter power cord, belt switch Multifunctional wireFeatures:This cigar lighter power cord has a wide range of functions, which can be used to connect with other vehicle appliances, or car lights.The switch is also equipped with a work indicator lamp. When the work is on, the lantern will light up.Plug it directly into the car's cigarette lighter socket and use it.This product is convenient and simple, when not in use, the plug is also convenient.A 10A fuse is arranged in the plug of the cigarette lighter, so as to protect the line safety, and to avoid the trouble of being suddenly burnt because of overload.Description:Input voltage: 12-24VOutput voltage: 12-24VO. BF Falcon 1/10/2005 - 2010 (does not suit 2008 onwards FG). Also Suits SX, SY & SYII Territory models 1/10/2005 - 2011. Connects your i-Pod, i-Phone & MP3 Player to the Factory Audio System. Genuine Ford Accessory. Bluetooth that feature a 3.5mm microphone input. The microphone can also be used with external Bluetooth interface module. Type:Car Stereo Bluetooth Microphone. 1 x Car Stereo Bluetooth Microphone. This is an external microphone for Car Radio head units with built-in. Description: HUD short for Head Up Display. It displays driving datas on the front windshield such as speed, rpm, fuel consumption, water temperature, voltage; avoiding drivers become dangerous because of watching the instrument while driving. Drivers can read the driving information instantly, and can always keep the best state on the way with HUD. Model BTSVBC3. Up for sale is a Blueant Supertooth 3 Bluetooth hands-free unit. Will also throw in a USB charging cable. Suits DDX9017DABS, DDX9017S, DDX9017SM, DMX7017BTS, DDX917WS, DNX9170DABS, DDX9170DABS,DDX9717BTS, DMX7017DABS. Kenwood to ISO harness 22 PIN for 2017 headunits. Most recent donors. OUR DONATIONS. SCHEDULE PICK UP. Features: AUX Port, USB Port. • Ford Falcon. 1x AUX Adaptor Harness. -Perfect to replace worn out audio AUX cable. • Ford Territory SX-SY (Ghia, Turbo, TS, TX etc). Type: Auxiliary Input Adapter. • Ford BA-BF. 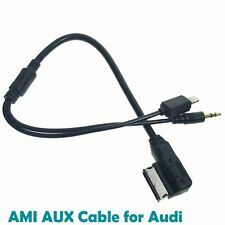 5pin Car Stereo Radio AUX MP3 Auxiliary Adaptor Lead Cable For Ford Ba-Bf Falcon. Works with all Ford BA's BF's and Territory's (Premium Colour Screen version and LCD Display). For Ford Ba-Bf Falcon. For Ford 5 Pin plug to 3.5mm Stereo Jack. VW/AUDI/SKODA/SEAT Bluetooth Interface Cable SKU : YT-BTA_VW12 This interface cable will connect to CD-Changer Port of the back of your Original OEM Radio as a input source of Audio will then connect wirelessly via Bluetooth to your Phone allow you to answer and talk on the phone via your car audio speaker together with play music from your phone to car audio speaker system wireless A2DP . Will retain all existing steering wheel control button like volume - / , Support Bluetooth AVRCP Control : Control Prev/Next , Pause/Play .....from your radio and or SWC This interface adaptor come with 1 x USB Port for easy charging 5V / 1A Standard port can be use with USB to Lighting Cable for iPhone or Mini USB Cable for Android Phone Charging ( Cable is not included ) AUX Input x 1 Por. SUBARU ISO WIRING HARNESS radio adaptor plug connector IMPREZA WRX FORESTER. Impreza / WRX 1998-08/2007. Subaru ISO Wiring Harness. 1 xISO wiring harness. Fits the factory 14-pin plug.